I feel like I’ve been going at a double-time-super-speedy-fast-isn’t-fast-enough pace for the past few weeks. It’s like I blink my eyes at 8am and it’s suddenly 6pm. It’s the kind of pace that I like- it’s the kind of pressure under which I thrive. It’s the kind of action that makes you feel like you can’t breathe. I love it and I simultaneously hate it. How confusing. How does a 25 year old girl stay on top of things going at this maximum speed you ask? You multitask, of course. You finish multiple tasks at once. You work on marketing proposals while you are phone-interviewing internship applicants. You answer emails while you are doing your warm up on the treadmill. You DVR all your favorite television shows to watch at once on the weekend rather than being sucked into an extra hour[s] of Real Housewives of Beverly Hills and Law and Order reruns. Gosh, I could watch those shows for days. 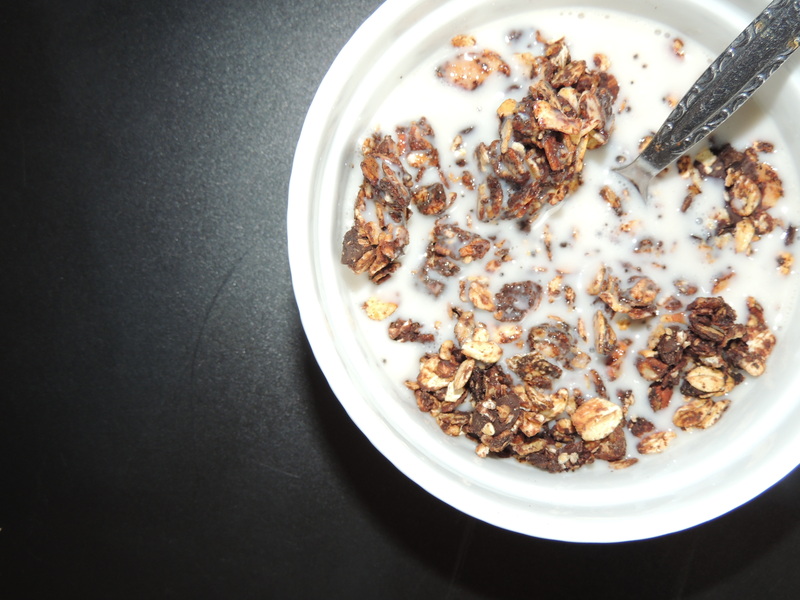 You infuse caffeine into your granola. See all that?–you’re multitasking. Food made [more] effective… the best thing to happen to your productivity time since the K-cup. I post on Facebook last week that I was totally making this recipe from one of my favorite Bloggers: Sally. You didn’t think I’d lie to you, now did you? 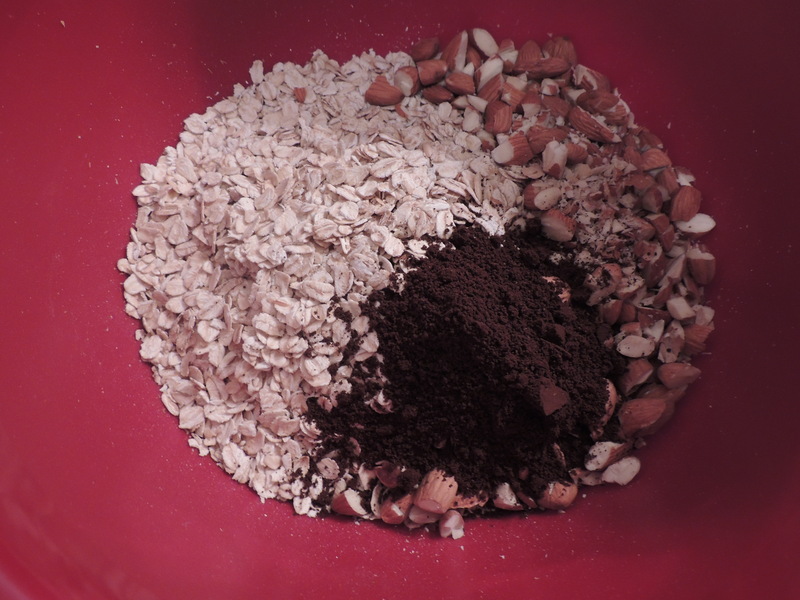 In a large bowl, combine the following: oats, almonds, ground coffee. Mix it up! In another bowl, melt the coconut oil and then stir in the honey. Add the cocoa powder and mix until smooth. Add the salt. Pour the bowl of wet ingredients over the oat mixture and stir until everything is well coated. I found it easiest to mix and slightly press down with the back of a spoon on the oats to get everything well combined. 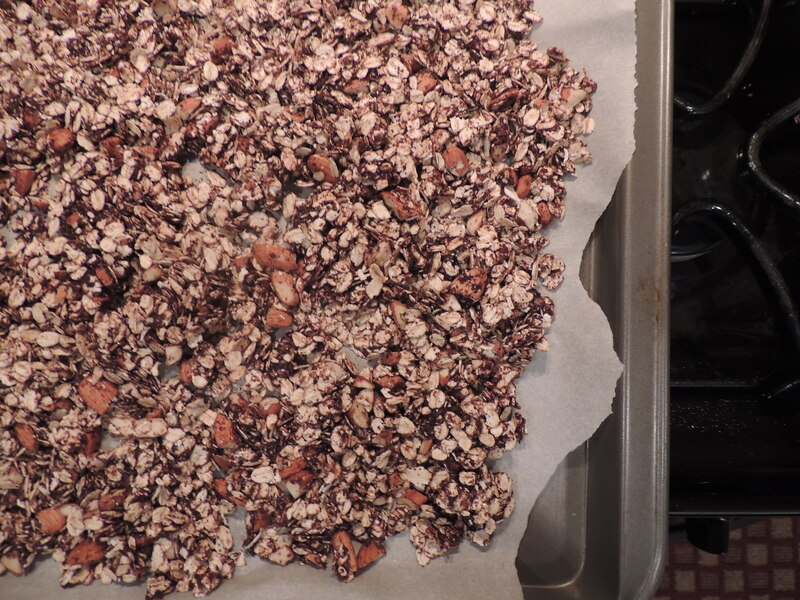 Spread the mixture onto a baking sheet prepared with parchment paper and bake for about 15 minutes. Carefully remove from the oven to stir it up and then bake again for an additional ten minutes. 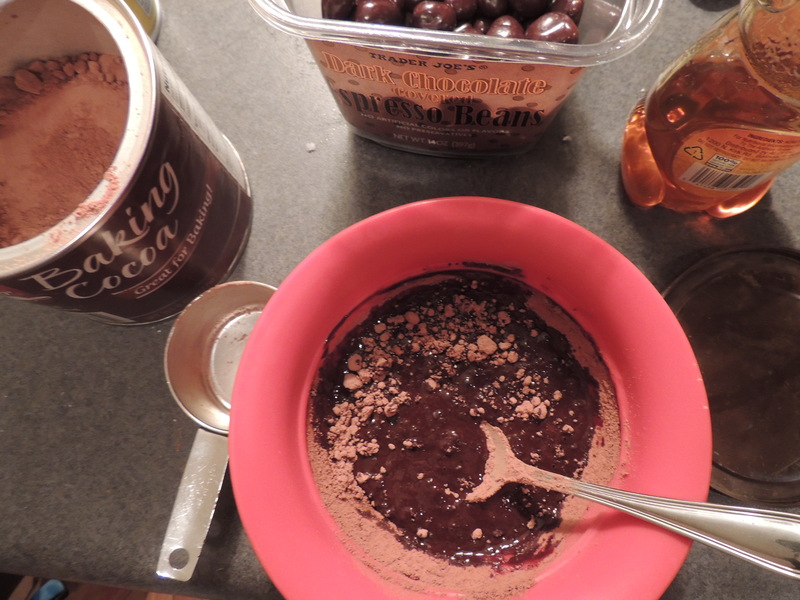 At this point, when everything is still warm, add in the chopped chocolate covered espresso beans. Continue to mix and press down with the back of your spoon to get everything coated well. 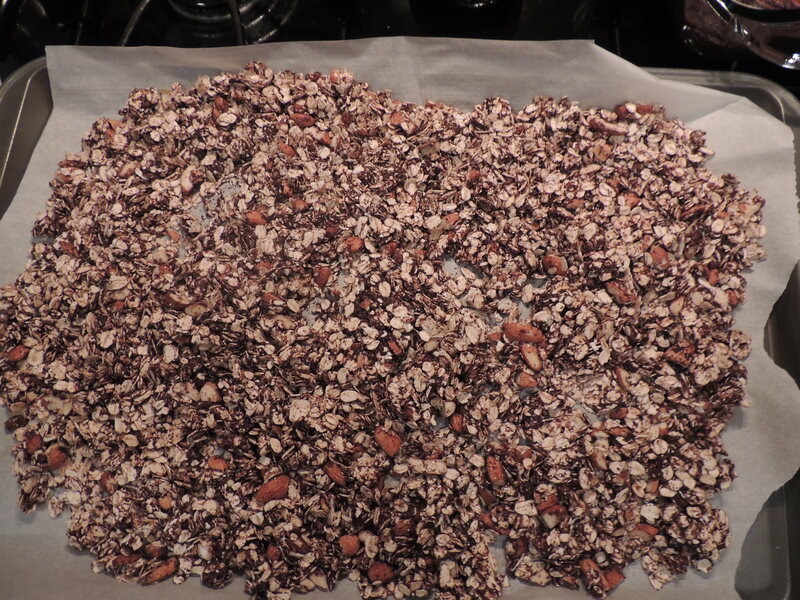 Adding the chocolate covered espresso beans will help to create large clusters of granola. Enjoy in handfuls on the go, or how I prefer it: in a small bowl with some almond milk. Yum. Now get going! clearly i’m in love with this. 🙂 It looks better than mine! And it’s making me hungry. I need to make another batch!